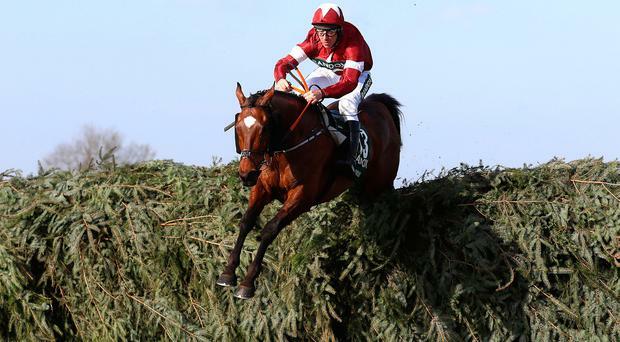 Tiger Roll ridden by Jockey Davy Russell on the way to winning the Randox Health Grand National Handicap Chase in 2018. Aintree Racecourse packed during the Grand National Festival. Tiger Roll has won the 2018 Grand National. The 14-1 shot held a sizeable lead going into the final straight and, trained by Meath man Gordon Elliott, he held on to win - just. It was a photo finish as Pleasant Company came from what looked a hopeless position to cause a sweat as the horses crossed the line.